I know that crazy Hurricane Matthew did some awful things but I’m grateful it is finally bringing some fall weather. It’s going to be as cold as 50 one day next week!! 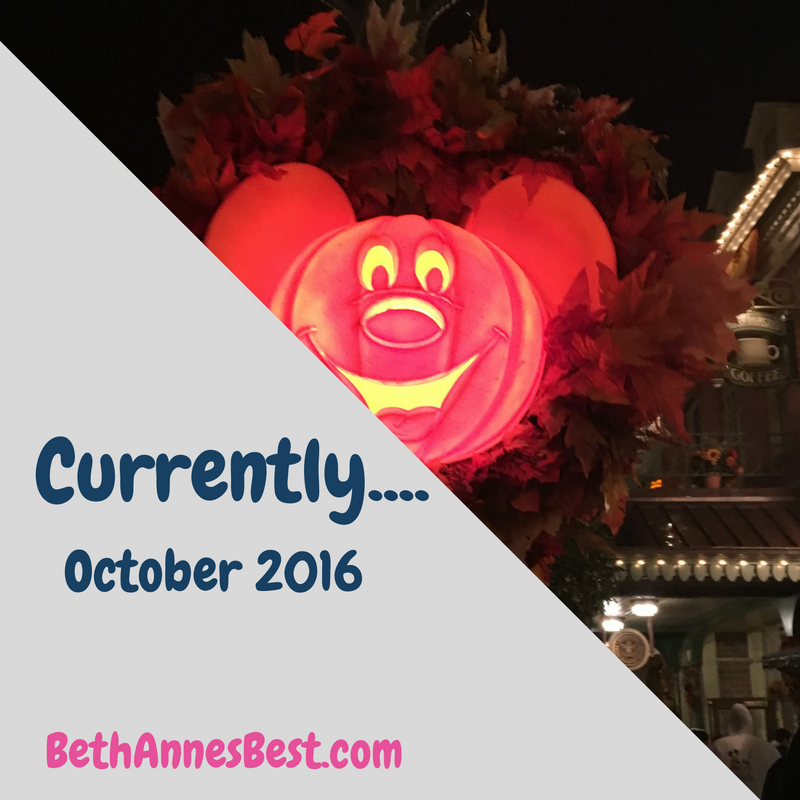 And due to the craziness of the storm, I’m only getting this post up now and the link-up is closed…oops. CHEERS-ING: All the food and wine at the Epcot Food and Wine Festival. I got to attend last weekend and it was so much fun and so delicious! I mostly had the food but it was still delicious. I also got to meet-up with an old friend that was in town. DREAMING: About Christmas! I have family coming into town and so many fun things going on that I like to do! Tricked you! I bet you thought this was going to be about my wedding! I am trying really hard to not make every one of these and every post wedding related. BUYING: I am not buying much of anything right now. But I do know that Christmas buying is right around the corner. I am always buying office supplies though. HA!! Like Lindsay, I am also glad Father Mike Schmitz is back at school and posting his homilies. They are always so good! I am missing my weekly dose of Monday Morning Catholic. They have switched from weekly to 1-2 times a month which I get b/c of crazy schedules but I still miss it every Monday. I feel like a lot and not much happened in September. We kicked off the Young Catholic Professionals group and it was awesome! I’ve been doing a better job of being social and getting out more. Most importantly I bought a wedding dress!! Currently is hosted on the first Wednesday of each month by Anne of In Residence. This month’s guest co-host is Jacqui of Drink the Day. Congratulations on buying your wedding dress! I hear you about buying office supplies. I don’t do that very often, but when I do, I make it rain. I don’t buy many books these days since I get so many for my review column, but organizing tools are probably my current Achilles heel. I KNOW! I am always looking at cool office supplies/organizing stuff at stores and online. I’m good at not always buying them though.